Curious? Excellent—it’s important you’re comfortable with your editor so you can establish a collaborative relationship. Clearing Blocks is run by Jen Anderson, a trusted communications expert with more than ten years of experience. As a full member of the American Copy Editors Society, she stays current on language trends and training opportunities so that your manuscript is critiqued with today’s editing and publishing standards in mind. She’s not just an editor, either. 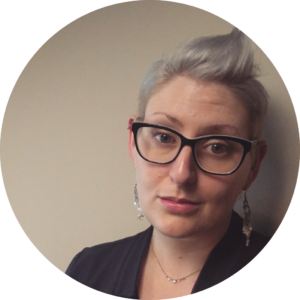 Jen draws on her background in project management, politics, and marketing to creatively spin content for specific audiences and untangle convoluted language. She’s a working writer who knows what it’s like to be on the receiving end of constructive criticism, which is why she thinks it’s so important to approach queries in a patient, thoughtful manner. Her clients include independent writers, poets, magazine producers, small businesses, and other creators looking for a nuanced, personal approach to editing and content development. Rather than contract with publishing houses, Jen prefers to work with writers directly, one at a time, and develop productive, long-term relationships. Her goal is to use her time and talents to help you become a better writer and self-editor. Jen holds a certificate in copy editing from UC San Diego Extension and a bachelor’s in fine arts from Roger Williams University, where she studied creative writing, photography, and marine biology. There, she helped develop and launch a student-run literary magazine featuring poetry and fiction from established and emerging writers. She currently lives in mid-Michigan with her husband and four cats. At her day job, Jen focuses on education, grassroots advocacy, and strategic communications designed to engage, change, and empower. She formerly served as the communications director for the Lansing Association for Human Rights, a local nonprofit that pursues justice and equality for LGBTQIA peoples through community-led advocacy, connection, and education. Much of her free time is spent reading, cooking, practicing Krav Maga, and gaming. Above all else, Jen believes in the power of storytelling to inspire and empower.